Crackle is a streaming video service similar to Netflix, Hulu, or Amazon Prime Video. But it’s also different from these services because it does not require a subscription fee. Instead, content-creators are paid by Crackle through advertising revenue. That means free content, and for Kodi users, an easy-to-use and free Crackle Kodi addon. Crackle contains many classic TV shows and movies, some of which are hard to find elsewhere. It also contains many highly-rated original series and movies. 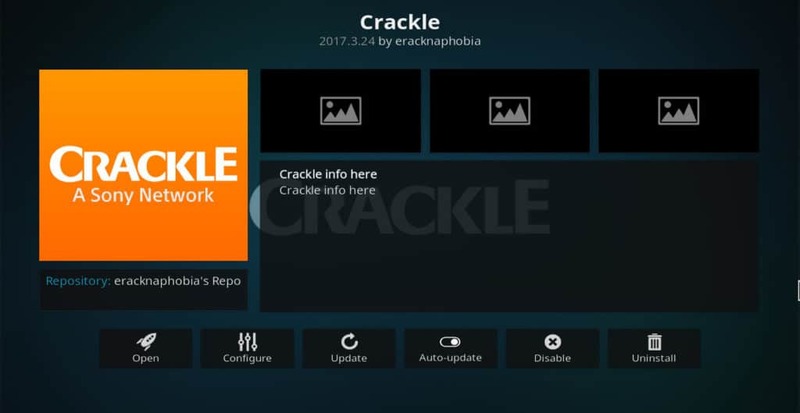 There are a few Crackle Kodi addons, but the best one and one we’re focusing on is simply called “Crackle”. It allows users to stream content from Crackle’s vast library without having to use a web browser. 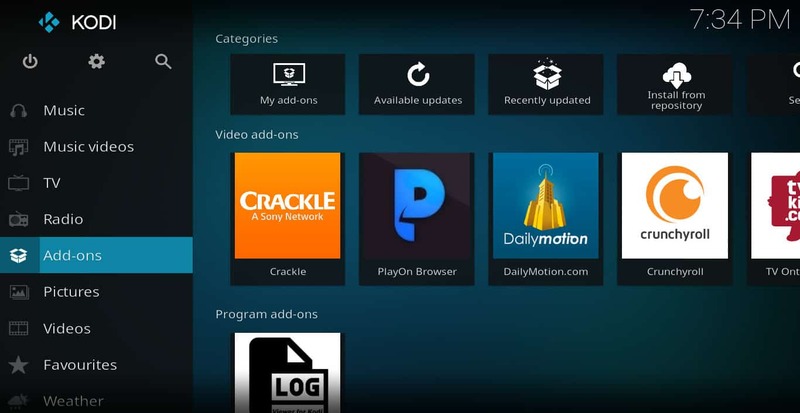 But if you’re new to either Kodi or Crackle, you might not know exactly how to install or use the Crackle Kodi addon. This guide will explain how. 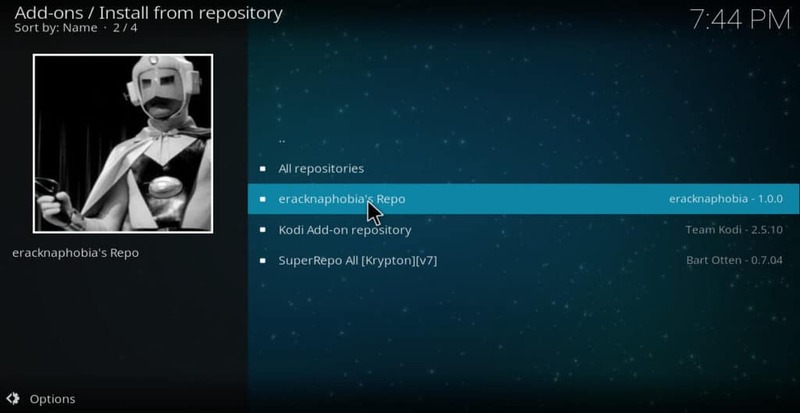 Kodi is a piece of open-source software that uses apps called “addons” to locate videos, images, and music found on the internet. Kodi does not store any content itself. It merely allows video to be played from whatever source you point it to. 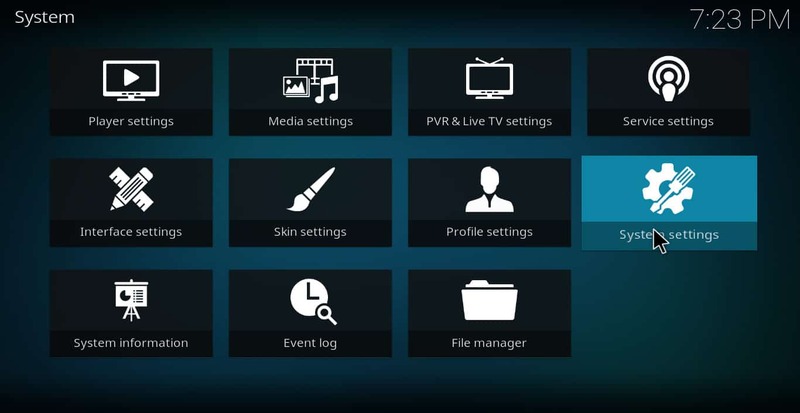 Kodi allows a user to integrate all of his/her streaming services into one platform, eliminating the need for multiple interfaces and devices. It can be installed on many different devices, including an Android phone or iPhone, personal computer, Roku box, Apple TV, Amazon Fire Stick, and USB device. It can be controlled with a smart phone app, remote control, or video game pad. Read more: What is Kodi and how can you make the most of it? How to use Kodi safely and privately. Kodi has many uses but is most popularly used as a streaming media player. Many Kodi users turn to streaming copyrighted content and download and run a Virtual Private Network (VPN) to mask their identity. However, all Kodi users can benefit from a VPN as well. 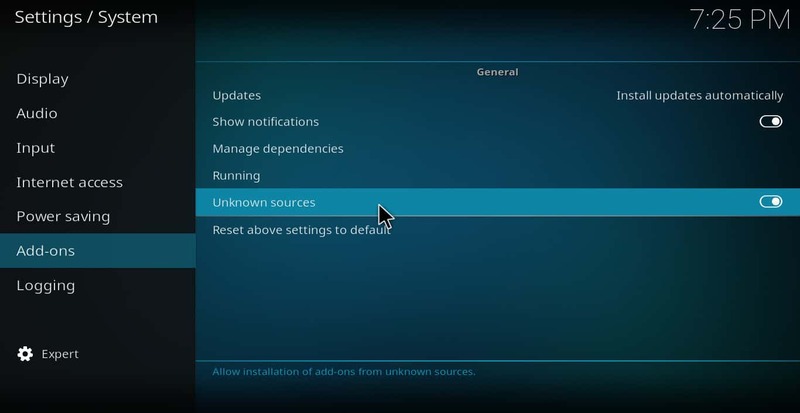 All Kodi addons are developed by individual developers, and most are housed on relatively unsecure servers. Additionally, Kodi addons can easily have their code hacked and uploaded to official-looking locations, leading to dangerous Man-in-the-Middle (MitM) attacks. Your data could get stolen without your knowledge through even official addons. ISPs as well do not care if your streaming is for legitimate purposes. Many will sometimes reduce the internet speed of customers who stream video. Some ISPs view streaming services like Crackle as competitors to their cable TV packages and will slow down the data from these services in order to keep more users from signing up to them. If you find Kodi is buffering, this could be the cause. Using a VPN is helpful in preventing Man-in-the-Middle attacks and avoiding ISP speed throttling, among many other uses. By encrypting your connection, neither hackers nor your ISP can determine what you’re doing or even who you really are. For Kodi users, in particular, having quality video is extremely important, something a VPN can help ensure you get. We think the best VPN for this use is IPVanish, a service that utilizes its own physical hardware. This helps keep speeds high, leading to less video buffering. Reader deal: You can get IPVanish for 60% off its regular price with this link. 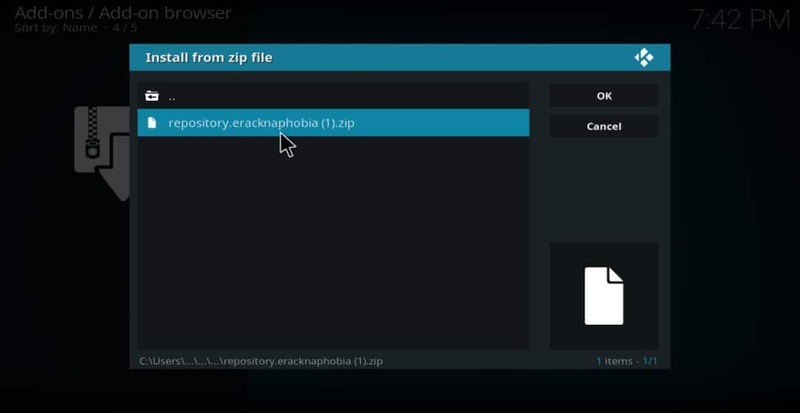 The Crackle Kodi addon is found in the eracknaphobia’s repo. 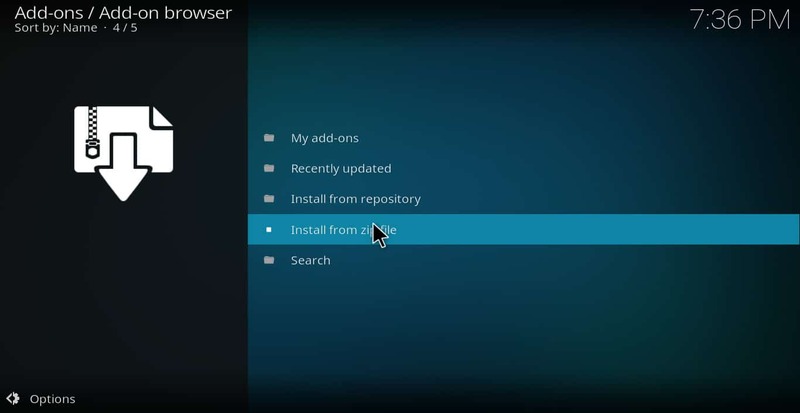 To install it, follow these steps. Unfortunately, though, all this does is allow you to change the screen ratio and turn audio commentary on or off. There’s no way to input your Crackle ID and password so as to get program recommendations based on your viewing habits. Hopefully, an update will allow this to be possible in the future. To play a program, click on the addon, and then click “Open.” You will be given the option to look at either the movie list or the TV show list. Click on whichever option you desire. You will be given a list of titles. Once again, these are alphabetically listed. Click on the title you want to watch. The title will begin playing. The best feature of the Crackle addon is that it is completely free and totally legal. You can get a lot of new and trending content from other addons. But most of them are either costly or stream pirated videos. Crackle stands apart from other addons in that it has neither of these drawbacks. And yet, Crackle has a lot of high-quality videos as well. It carries classic network TV shows like The Shield, Heroes, Heroes Reborn, Seinfeld, and Blue Mountain State, as well as some highly-rated Crackle originals like Startup, Super Mansion, and Party Boat. 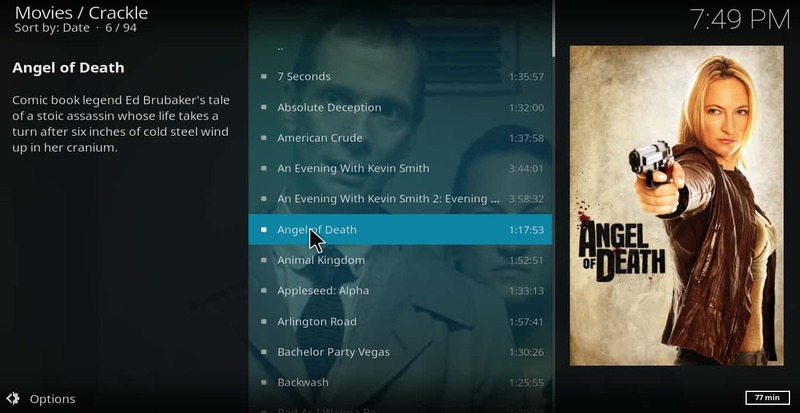 When it comes to movies, the Crackle addon has some well-known titles like Fear and Loathing in Las Vegas, Easy Rider, and House of Flying Daggers. It also has great movie originals such as Extraction, Dead Rising: Watchtower, and The Throwaways. The only type of content that Crackle is lacking is newer TV shows and movies from the major networks and film studios. So a user who is especially interested in newer content will need to get other services to supplement Crackle. But for a free service, it’s catalog is definitely impressive. Crackle does have the drawback of carrying advertising. This can be annoying at times. But if the program you want to see is not available elsewhere, watching a few ads can often be worth getting to see it. 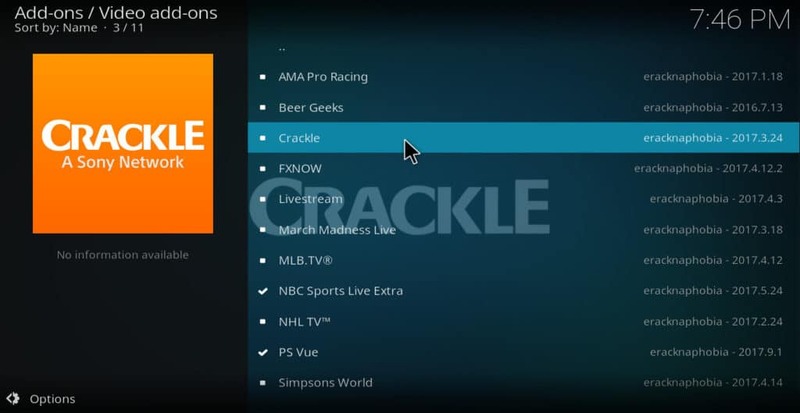 Overall, Crackle is a great addition to any Kodi user’s addon collection.